LONDON -- The UK government came under fire this week from automakers after announcing it was linking the taxation of diesel cars from next year to their ability to hit the new real driving emission standards (RDE), which is not what they were expecting. Sales of diesel cars have fallen by over half a million to the end of October compared to the same period last year, reducing market share to 42 percent compared to 48 percent last year. To help arrest this sales slump, manufacturers wanted the government to tax older diesels off the road and reassure buyers that the latest diesels were nice and clean. That's not what happened. Instead the government declared that from next April buyers of all new diesels would pay more duty at sales time compared to the equivalent gasoline unless the car was rated to pass the second set of RDE standards. The issue of diesel pollution has become a hot political topic in the country as cities such as London struggle to reduce levels of particulates and nitrogen oxides (NOx) linked to diesel fumes. RDE2 toughens the new WLTP emissions targets by forcing manufacturers to prove what their cars emit in the laboratory is exactly matched on the road. 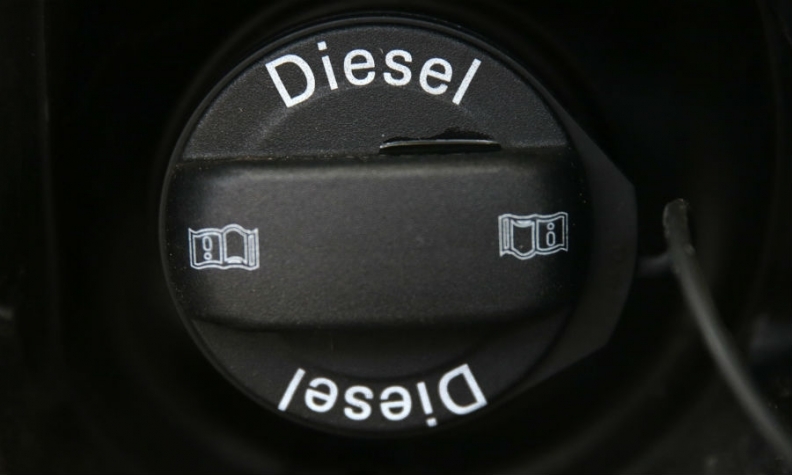 However, it doesn't come into force until 2020 for newly launched cars and 2021 for all new cars, meaning that for the first year and a half at least, this is a straight tax hike for diesels. Separately, it also appears to confirm that the UK will continue to follow EU emissions regulation despite leaving the EU in March 2019, as expected. The UK's auto manufacturer association, the SMMT, wasn't pleased with the new tax. "It's unrealistic to think that we can fast-track the introduction of the next generation of clean diesel technology which takes years to develop in just four months," it said in a statement. Jaguar Land Rover admitted that the UK government's move did incentivize the purchase of cleaner diesels but pointed out that a lot of new-car sales would be taxed at the higher rate before then. JLR has the highest diesel penetration of any manufacturer in Europe, with 96 percent of Land Rovers and 84 percent of Jaguar sold in the region in 2016, according to figures from Sweden-based analyst firm AID. The new ruling would push the first-year duty tax for a Land Rover Discovery Sport 180PS from 200 pounds ($266) to 500 pounds. For a lower powered version, it would be a lot less, adding just 40 pounds. The government also announced increased company car tax for business users choosing diesels, again linked to RDE2. The UK government's announcement might have satisfied an electorate increasingly turning against diesel, but it annoyed carmakers in the country, already nervous of the economic effects of Brexit. Bizarrely however, the government seemed to think its tax-raising move would have no effect on diesel sales. In the policy paper published last week outlining the impact of the tax change it said: "Behavioral responses to this policy change are estimated to be negligible due to the low level of the tax increase in relation to car purchase price."